Children will sing songs, listen to stories, and make a simple craft. For ages 2 and up, with caregiver. Sensory Storytime is designed for children with autism spectrum disorders, sensory integration issues, other developmental disabilities, and their typically developing peers. If your child has difficulty sitting through our other story times, this program might be for you. Limit 10 attendees. Ages 12 and up. Please register in advance. Girls will learn basic and more advanced coding to build websites, create graphics, and design videogames. If you can, bring your own laptop, but this is not required. This interactive inclusive music and literacy group is for young children at all levels of communication and ability. Facilitated by an Beverly Mobilia of Community Partnerships for Children and Families, and an Early Intervention clinician. For ages newborn to 3 years, with caregiver. We will meet in the play area of the Children's Room. Let's Build is a hands-on building workshop for kids in grades 3-5. Each month will feature a different building challenge, such as a straw tower, toothpick bridge, or lego boat. At the beginning of each session we will brainstorm some design ideas as a big group and then split up into smaller groups to build. You're welcome to come to all sessions or stop by for one or two. Let's Build workshops are run by Wayland High School Seniors Eileen Chan and Julia Treese. This month's Let's Build Challenge is to build the strongest catapult. Barbara Berenson, author of Massachusetts in the Woman Suffrage Movement: Revolutionary Reformers, tells the story of the national suffrage movement and gives this state’s suffragists the attention they deserve. Long before the Civil War, Lucy Stone and other abolitionists launched the organized women's movement. After the war, state activists founded the Boston-based American Woman Suffrage Association to lead campaigns across the country. Their work laid the foundation for the next generation of suffragists to triumph over tradition. Barbara Berenson is the author of Massachusetts in the Woman Suffrage Movement: Revolutionary Reformers (2018), Boston in the Civil War: Hub of the Second Revolution (2014), and Walking Tours of Civil War Boston: Hub of Abolitionism (2011, 2d ed. 2014). She is the co-editor of Breaking Barriers: The Unfinished Story of Women Lawyers and Judges in Massachusetts (2012). Barbara earned her undergraduate degree from Harvard College and her law degree from Harvard Law School. She works as a Senior Attorney at the Massachusetts Supreme Judicial Court. She is on the boards of Boston By Foot and the Royall House & Slave Quarters. This event is sponsored by the Harvard Club in Concord. All are welcome. 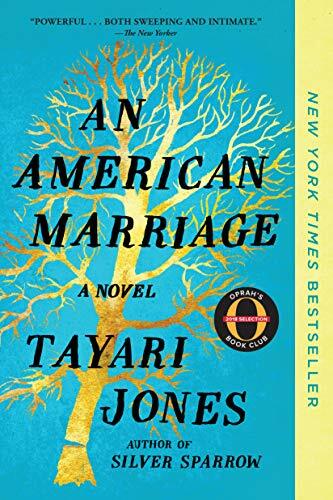 This book discussion group is for 4th and 5th graders with a parent. 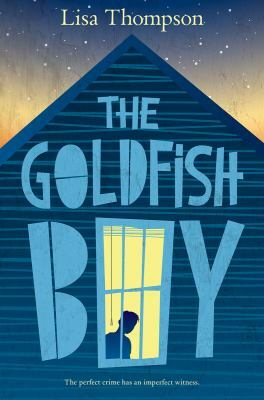 April's book is Goldfish Boy by Lisa Thompson. We will also choose the book for next month. Join us for the second installment of our Genealogy Workshop. Experienced and amateur genealogists will share their own family tree findings and discuss their research triumphs and tribulations. Participants will be encouraged to ask questions and take advantage of the collective lessons learned. All levels of researchers are welcome! Learn what you can and cannot find online, what to do when you hit a brick wall, and how to document and to prove what you find! Workshop coordinator Suzanne Richardson has been an active genealogist for 40 years. She has taught genealogy classes and is a member of several genealogy organizations. Suzanne also facilitates WAY-GEN, a genealogy interest group at the Wayland Council on Aging. Suzanne will be assisted by Wayland resident Marcia Hartley, an active amateur genealogist and history enthusiast. Insects pollinate by accident, but for us humans pollination is absolutely essential: one third of all plant species that become our food require pollination, accounting for over half of our food supply by volume. Wayland resident Kaat Vander Straeten will teach us about pollination from the point of view of the insects, the flowers, the farmer and the 100% of our population that gets to eat! Keep your hands busy while you learn by constructing a Mason Bee Hotel. Mason bees are solitary bees, unlike the honey bee who builds a hive. Female Mason bees build their own nests, gather their own food, and lay their own eggs. With all this work to do, Mason bees are far too busy to be aggressive towards people. Kaat Vander Straeten is a Wayland beekeeper, bee-educator and activist, and the founder of BEEleive, the MetroWest beekeepers group. Join us for a monthly TED talk viewing and discussion program! We'll watch a TED talk for 20 minutes, discuss for 20 minutes indoors, and then, weather permitting, take a 30 minute *optional* walk to continue the discussion! Come for all or some of this program. If you just want to walk, please contact Courtney (508-358-2311) and then join us about 10:45. In April, we'll view Yuval Noah Harari's talk: "Why humans run the world." In his book, Homo Deus: A Brief History of Tomorrow, Yuval Noah Harari explores the projects, dreams and nightmares that will shape the 21st century -- from overcoming death to creating artificial life. He maps the future and asks fundamental questions: Where do we go from here? How will we protect this fragile world from our own destructive powers? The book has sold four million copies since its publication in 2016. Harari's previous book, Sapiens: A Brief History of Humankind, explores what made homo sapiens the most successful species on the planet. His answer: We are the only animal that can believe in things that exist purely in our imagination, such as gods, states, money, human rights, corporations and other fictions, and we have developed a unique ability to use these stories to unify and organize groups and ensure cooperation. Sapiens has sold eight million copies and been translated into more than 50 languages. Bill Gates, Mark Zuckerberg and President Barack Obama have recommended it as a must-read. Harari's latest book, 21 Lessons for the 21st Century, takes the pulse of our current global climate, focusing on the biggest questions of the present moment: What is really happening right now? What are today’s greatest challenges and choices? What should we pay attention to? Harari lectures as a Professor of history at The Hebrew University of Jerusalem, where he specializes in world history, medieval history and military history. Join us for stories, snacks, and fun at a donation event and teddy bear story time. This event is hosted by the Wayland Children and Parent Association and is being held to support the nonprofit organization Project Smile. Your child can bring one stuffed animal in excellent condition to donate to Project Smile at the teddy bear story time. Can't make it or have more to donate? There will be a bin in the Wayland Library hallway, next to the Raytheon room, the full month of April. Please contact us at outreach@waylandwcpa.org if you have any questions. Children will make fabulous creations out of legos. This month's theme: Star Wars! For walkers to age 5. Do you know someone who is learning basic English? This beginners English conversation group meets about twice a month. It is especially good for people who do not speak English at home. Come shop at the Book Sale held by our Friends! You must be a member to shop on Friday night. You may become a member at the door. Come shop at the Book Sale held by our Friends! Families with preschool children are invited to our first ever Literacy Fair! A great time to learn about Wayland's preschools! Musician Jeannie Mack will give a concert starting at 11 a.m.
Children can challenge themselves with brainbuildng activities at tables staffed by teachers from several local preschools. At the end of the event, one of our children's librarians will give a storytime. There will be facepainting, refreshments, and a visit from Curious George! 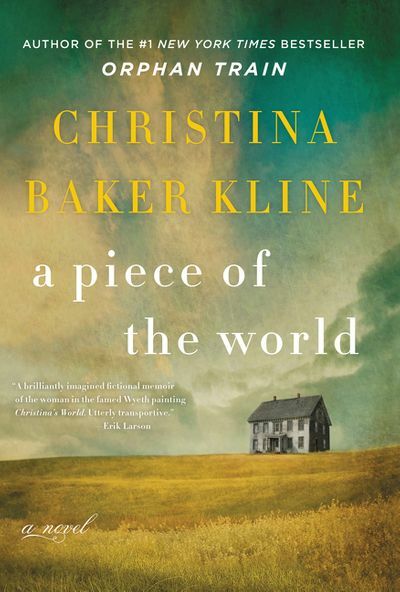 As she did in her beloved bestseller Orphan Train, Christina Baker Kline interweaves fact and fiction to vividly reimagine a real moment in history. A Piece of the World is a powerful story of a flesh-and-blood woman behind Andrew Wyeth's iconic portrait, her complicated relationship to her family and inheritance, and how artist and muse can come together to forge a new and timeless legacy. Learn how acupuncture can help keep us healthy as a preventive measure as well as help us regain our health when disease has just started. Understand how acupuncture can compliment western medicine. Chinese Medicine practitioner Saharnaz Rezania will discuss the root of over 90% of diseases from the Chinese medicine perspective and how to prevent them. Saharnaz Rezania is a licensed acupuncturist and graduate of the New England School of Acupuncture, where she was the recipient of the Compassionate Healer Award, given to the graduating student who exemplifies the essence of compassionate healing, demonstrating the empathetic treatment of patients. She lives and practices in Wayland, Massachusetts. Prior to moving to the Greater Boston Area, Sahar lived in Ottawa, Canada where she started her study of Acupuncture and Traditional Oriental Medicine. Sahar was born and raised in Tehran, Iran. She lived for a time in Yemen and Sri Lanka, where her father was posted as a Program Director with the United Nations Food and Agriculture Organization, before moving to the United States to pursue her Bachelors degree in Mechanical Engineering at the University of Minnesota in Minneapolis. After graduation, she moved to Portland, Oregon where she worked as an engineer and product developer at Ziba Design, Intel Corporation and Fiori Product Development. It was while raising her own family in Portland that Sahar discovered natural health, healing and Oriental Medicine. She is passionate about nutrition and healthy living, placing a lot of focus on keeping herself, husband and three children healthy through balanced nutrition and living. When Sahar is not treating patients or managing her family, she enjoys taking long nature walks, hitting the gym, swimming at Walden Pond, doing yoga and connecting with her friends. Find Sahar at her website: https://www.saharnaz-acupuncture.com/. In this true-crime procedural (featuring the creator of the famous Sherlock Holmes), Conan Doyle for the Defense chronicles the remarkable story in which Conan Doyle, himself, exonerates a German Jewish man wrongly convicted of the 1908 murder of a wealthy woman from Glasgow. Rife with heroes and villains, and immersed in the science of Edwardian crime detection, this non-fiction mystery also reveals a watershed moment when reflexive prejudice was overcome with reason. Drop in and make a gift and a card for mom. The best gifts are homemade with love! Once in a while a writer comes along who redefines the way we look at the world. 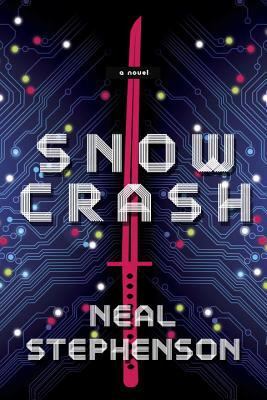 Neal Stephenson is such a writer and Snow Crash is such a novel, weaving virtual reality, Sumerian myth, & just about everything in between with a cool, hip cybersensibility to bring us the gigathriller of the information age. Join us for a lively discussion of this book! On the mezzanine. Cookbook Club -- Join us as we all cook from the same book and enjoy it potluck style! In May we'll watch Kelly McGonigal's "How to make stress your friend." Dr. Kelly McGonigal is a health psychologist and lecturer at Stanford University. As a pioneer in the field of "science-help," her mission is to translate insights from psychology and neuroscience into practical strategies that support personal well-being and strengthen communities. She is the author of several books, including the international bestseller “The Willpower Instinct” and her latest book “The Upside of Stress.” Her 2013 TED talk, "How to Make Stress Your Friend," is one of the Most Viewed TED talks of all time, with over 19 million views. 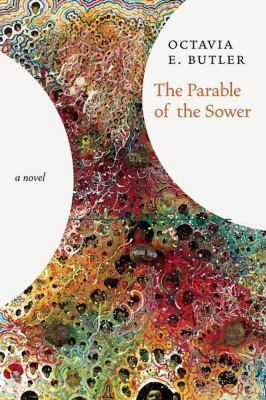 A brave, timely, searingly beautiful novel from the acclaimed author of The Blind Man's Garden: set in contemporary Pakistan, the story of a Muslim widow and her Christian neighbors whose community is consumed by violent religious intolerance. 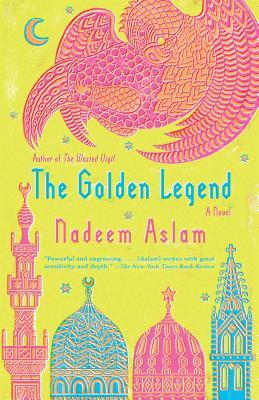 In his characteristically luminous prose, Nadeem Aslam has given us a lionhearted novel that reflects Pakistan's past and present in a single mirror, a story of corruption, resilience, and the disguises that are sometimes necessary for survival--a revelatory portrait of the human spirit. Storytime, Parachute Play, and Brain Building Activity. Program led by Beverly Mobilia of Wayland Community Partnerships for Children and Families. For children ages 2 to 5, with parent/caregiver. This month's Let's Build Challenge is to build the lego boat that will hold the most weight. Join us at the Library for Trivia, Pizza and Snacks! We'll play 4 rounds of 5 questions each. Categories will vary and include current affairs, pop culture, sports, history, science and everything in between. Watch our Facebook page for clues! Registration is required - sign up as a team of 2-6 people, or as an individual willing to be placed on a team! with Elise Katz. Limited to 10 participants. Registration required. Choose from a selection of special papers, including maps, musical scores, pages from children's books, etc.! Marjorie Harshaw Robie’s DUELING DRAGONS recounts key years of tumultuous Irish history through three prominent citizens on the front lines. 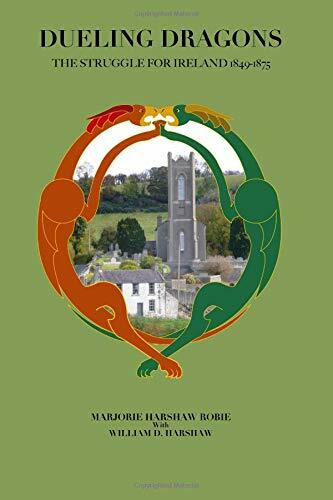 Inspired by a collection of ancestral diaries that survived intact through famine, revolution, generations of owners, a transoceanic voyage, a bank renovation, and a mistaken mailing to the American heartland, Marjorie Harshaw Robie’s new book DUELING DRAGONS tells the story of 25 tumultuous years in the history of Ireland through the words and actions of three men who lived on the front lines of revolution. DUELING DRAGONS is the second in Robie’s two-volume history of early and mid-19th century Ireland. Her first, DWELLING PLACE OF DRAGONS, was published in 2006. The new volume spans 1849 to 1875 when famine and emigration decimated the Irish population, religious conflicts divided Protestants and Catholics, and friendships and families were torn apart. Robie’s unique perspective comes from familial diaries she found after an epic search, and through other first-hand accounts from newspapers and personal letters of the time. She incorporates the lives of three remarkable, interconnected men who struggled through much of the 19th century in a rapidly changing Ireland, and whose stories were told by their own hand, or the news of the day. Marjorie Harshaw was born in Minneapolis to a family with Irish roots. She attended Tufts University in Massachusetts, where she received a degree in English. After graduation she married Eugene Robie and spent time in Virginia and West Virginia before moving to the historic town of Ipswich, Mass., where the couple raised children and Robie was a school teacher. Robie’s interest in history led to years of service on the Ipswich Historical Commission, and a personal journey of genealogy that caught fire with the discovery of her ancestor’s diaries. The diaries formed the structure of two fascinating historical volumes, Dwelling Place of Dragons (2008) and the new Dueling Dragons (2018). Robie has discussed Irish history on national television in the U.S. and Ireland. She wrote the entry for James Harshaw in The Dictionary of Irish Biography, and had a weekly column on Irish history for the Newry Democrat in Northern Ireland. She is a sought-after speaker on Irish history, ancestral research, and the eternal clash of politics and religion. 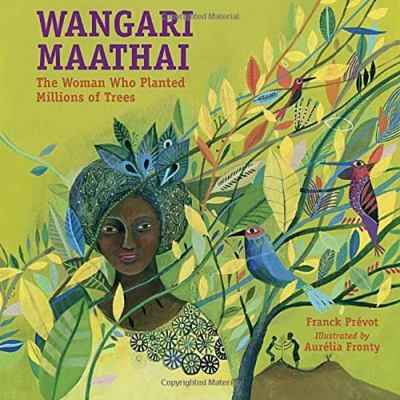 Join u s for a reading of these picture book biographies about two remarkable women with a passion for planting trees: Wangari Maathai and Kate Sessions. Children will then decorate flowerpots and plant their own pizza herb gardens. Program led by librarian Elise Katz. For grades 1 to 3, with caregiver. Spend quality time with your children and their friends and play games at the library! We will have board games and card games set up to play. For ages 4 and up, with parent/caregiver. In 1870 Wayland voted overwhelmingly to invest in the new Central Massachusetts Railway Company if the company would connect Wayland to Boston, as well as to points west. The Mass Central would run through the center of Wayland and through the center of 100 years of industrialization and urban growth, a historic transformation that has made us unrecognizable to our great-great-grandparents. Did the residents of 1870 make a good decision? How would Wayland be different today if that vote had gone the other way? When did service on this line end (not a simple question), and why? Speaker Joel Angiolillo is a Weston resident who has been actively interested in the new, second life of the Mass Central as a recreation trail. Jeannie Mack will perform all kinds of fun, bounce-around, sing-along songs geared for young children. Plenty of opportunity for audience participation! For babies, toddlers, and preschoolers with caregiver. 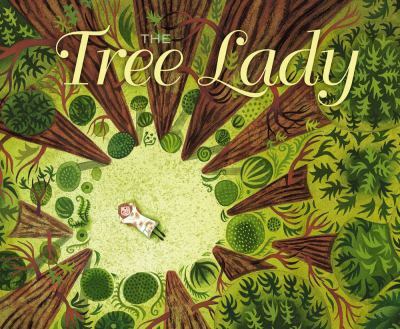 Butler tells her story with unusual warmth, sensitivity, honesty and grace; though science fiction readers will recognize this future Earth, Lauren Olamina and her vision make this novel stand out like a tree amid saplings. This presentation on traveling to Puerto Rico will showcase the variety of things to do and explore on every part of the island. We will visit each coast, the central mountain range and the famous city of San Juan. Despite the damage done by Hurricane Maria, the island is still an amazing place to see. All the natural beauty of this paradise is still there for you to discover! Rachel Borges has been traveling for her entire life, starting with camping trips as an infant, and she doesn't plan on stopping! Rachel loves to see and experience new things and really enjoys sharing her magic travel moments with others. Rachel was born and raised in New Jersey and came to Boston to attend Berklee College of Music. She has a Bachelors in Professional Music and is pursuing her Masters of Social Work from UNH. Rachel has been working in assisted living facilities for the past ten years and loves connecting with people. 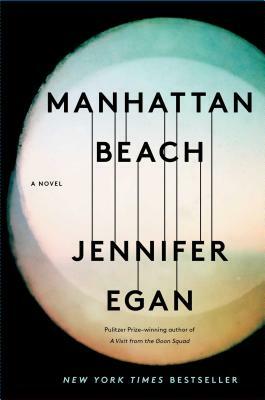 Mesmerizing, hauntingly beautiful, with the pace and atmosphere of a noir thriller, Pulitzer Prize-winnder Egan's first historical novel is a masterpiece, a deft, startling, intimate exploration of a transformative moment in the lives of women and men, America and the world. Event will take place in the Rotunda. Combining rare audio, archival film, captivating stories, songs, and guided music-making, master percussionist, author, educator, and radio host Craig Harris will be leading a multimedia, participatory, and fun-filled 50th anniversary celebration of the culturally groundbreaking Woodstock Music and Art Festival. About Craig Harris: Master percussionist, educator, author, photographer, and the host of a Friday night show on WAMU/NPR’s Bluegrass Country Radio, Craig Harris' latest book, Bluegrass, Newgrass, Old-time and Americana Music, published in 2018. He previously authored The Band: Pioneers of Americana Music (2014) and Heartbeat, Warble and the Electric Powwow: American Indian Music (2016), along with countless reviews and articles for newspapers, magazines and websites. Harris passion for music, though, goes beyond the printed word. A skilled percussionist/drummer, he's accompanied Woodstock veterans Melanie and Rick Danko (The Band), among many others. He continues to play with an Americana group (Two Days Jeans) and a world-groove trio (the Gaea Star Band), with whom he’s co-hosted the syndicated Gaea Crystal Radio Hour since 2014. After teaching music for more than a quarter of a century, Harris launched his Drum Away the Blues program in 2009. He's also presented multimedia and participatory programs, Heartbeat: A Native American Musical Experience and Unraveling America's Musical Roots, in MA, CT, RI, NH, NY, NJ, PA, and FL. Join us for a monthly TED talk viewing and discussion program! We'll watch a TED talk for 20 minutes, discuss for 20 minutes indoors, and then, weather permitting, take a 30 minute *optional* walk to continue the discussion! Come for all or some of this program. If you just want to walk, please contact Courtney (508-358-2311) and then join us about 10:40. In this historically accurate and poignant account, set in 1944 against the backdrop of World War II, a young woman is forced to alter the path to the future she had envisioned for herself. Fiona Denning had it all planned out: work at Boston City Hall until her fiancé returned from the war, then settle down in the suburbs. But when her husband-tobe is declared missing after being shot down over Germany, Fiona’s life is upended, forcing her to rethink everything she once believed about her future. Determined to learn what happened to her betrothed, Fiona decides to go to Europe. She volunteers to be a Red Cross Clubmobile Girl, a prestigious assignment where women with education, personality and talent bring soldiers in the field symbols of warmth from home. Fiona recruits two of her best Boston girls to go along: Viviana, who is just fine leaving her secretarial job, and Dottie, a shy music teacher, whose natural talents are sure to bring hope and harmony to the young men fighting on the front lines. Though each woman possesses exceptional inner strength and outer charm, the trio is wholly unprepared for the daunting challenges posed by war and at times they must summon a kind of courage they never knew they had. The Beantown Girls offers a glimpse of the “Greatest Generation” and the sacrifices of war from a female perspective, and once again brings to light their breathtaking courage, compassion and sacrifice during one of the most volatile times in our history. Join members of the Korean Spirit & Culture Promotion Project (KSCPP) to learn about Korean history and culture and enjoy a free traditional Korean meal. Through two short films and a presentation, attendees will learn about the 15th century King Sejong the Great who initiated numerous cultural achievements and scientific inventions to improve the welfare of his people, and get an overview of modern South Korea, the 6th largest export country in the world. After the presentation, a traditional Korean meal will be served in Bangjja Bronzeware, an ancient form of Korean tableware. The Korean Spirit & Culture Promotion Project (KSCPP) is a 501(c)(3) non -profit organization that is dedicated to raising awareness of Korean history and culture. As a show of appreciation for the United State’s support for Korea during the Korean War and in the years that followed, KSCPP has held over 1,700 presentations about the history and culture of Korea throughout the country. Internationally, we have hosted complimentary presentations over 12,000 times. For many of us, preparing Thanksgiving dinner can be filled with anxiety. Join chef Liz Barbour for as she explores the many types of turkeys available, the various ways to prepare them, and how to create a menu that is easy and delicious. Following her discussion, Liz will demonstrate 2 of her favorite side dishes and offer samples for everyone. Registration is required. Limit 35 attendees. Chef Liz Barbour built her cooking career in a variety of Boston's catering and restaurant settings. After starting her family, she reentered the food world as a cooking instructor with Liz Barbour's Creative Feast. Her recipes and teaching style connected with her community, and Liz soon had a large following of loyal students. She is a regular guest on New Hampshire’s WMUR Cook’s Corner and her cooking demonstrations and recipes are featured in various publications including Where Women Cook, New Hampshire Magazine, the Nashua Telegraph, and The Hippo Press. Liz is the author of Beautifully Delicious, a collection of recipes that create beautiful dishes combining colorful, flavorful ingredients and incorporates familiar herbs and edible flowers that you are probably growing at home or that you can conveniently buy at your local grocery store. Come meet local author Paul C. Clerici as he discusses his popular book Boston Marathon: History by the Mile. Hear all the great stories about the very beginnings of the race in Ashland; the various start lines in Hopkinton; the year in which a train cut through the race in Framingham; the Scream Tunnel of women at Wellesley College; the Johnny Kelley statue in Newton; the different finish lines in Boston; and much, much more. In his book, the award-winning writer takes readers through the colorful 26.2-mile journey - mile by mile, town by town, story by story. With his unique vast array of experiences and knowledge - he has run the Boston Marathon 23 times and has covered it for over 30 years now - Clerici brings the great race to life through informative, humorous, and enlightening detail that includes stories about every statue, moment, landmark, and portion of the course from its start in 1897 to its current incarnation. With forewords by Boston Marathon race director Dave McGillivray and the first woman to complete the race - Roberta “Bobbi” Gibb - the book also features a wide range of vintage and race-day photos, some of which never before published. About Paul Clerici: A freelance journalist, photographer, and former newspaper editor, Paul delivers talks and lectures at libraries, historical societies, bookstores, running clubs; appears at expos, book signings, group meetings; appears on television (NECN, cable stations, etc. ), radio (NPR, local and city stations, etc. ), and media outlets including “The Boston Globe” and the “Cape Cod Times.” Race director of the “Camy 5K Run & David 5K Walk” in Walpole, he has competed in nearly every distance from the mile to the marathon - including two triathlons, 43 marathons, the Falmouth Road Race several times - and has won numerous age-group and Clydesdale running awards. He is also the author of A History of the Falmouth Road Race: Running Cape Cod and History of the Greater Boston Track Club. Books will be available to purchase and be signed by the author.